Trachten bag in raw leather. Small, yet wonderful – the Schuhmacher Trachten bag is a great clutch, with plenty of space for all those party, festival or Oktoberfest necessities. Finished with fine raw leather, the outside is wonderfully soft and velvety, while the inside is impressively smooth. A practical magnet fastener keeps the bag safely closed. Meanwhile, the adjustable shoulder strap means that you can wear this bag across your body or just throw it over your shoulder. 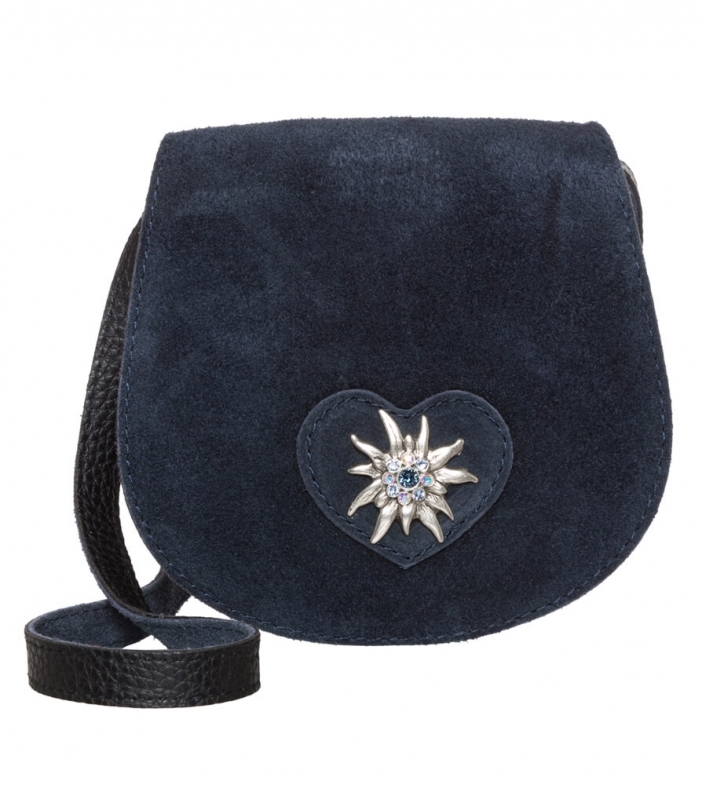 With its classic saddlebag design, this uncomplicated accessory just oozes youthful charm. The heart-shaped appliqué at the front only enhances this look. Meanwhile, the silver-coloured edelweiss studded with glittering blue, white, and red gemstones is a particularly fancy eye-catcher.